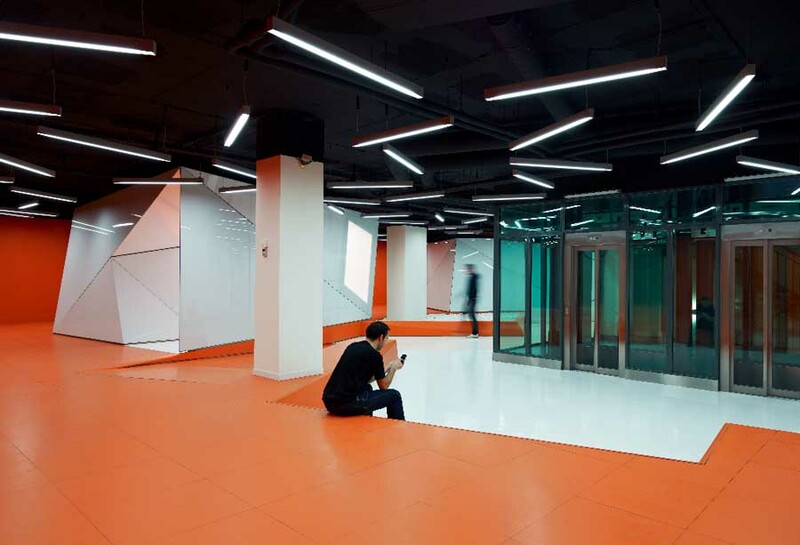 The project consists of the rehabilitating and reform of an existing building to convert it in the new offices of the Centre for Telecommunications and Information Technologies (CTTI) of the Generalitat de Catalunya (Government of Catalonia – Spain). These offices were built to group all the IT and telecommunication services of the Goverment of Catalonia. In its design has prevailed the most representative values such as innovation, technology, communication and service. 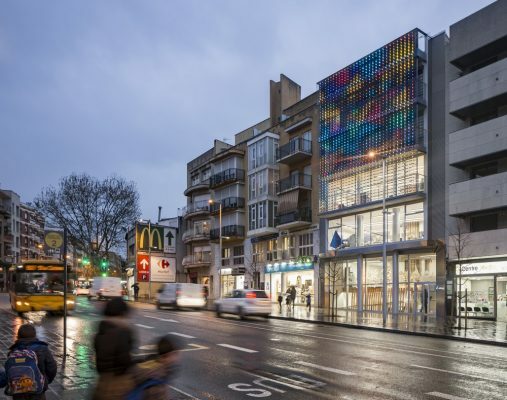 Integral remodeling of Aura’s insurance company building, located in the urban center of Santa Coloma de Gramenet. The façade is mainly composed by a big metal weave that holds numerous light points of Led illumination, with a rhythm and size designed on project and customized with the client specifications. The building, located on the “Parc de Collserola”, should respond to the natural conditions or circumstances. If the first alternative option was to hide or camouflage the building behind a small forest in the following, when we were compelled to advance much the building in relation to the Ronda de Dalt, the options are focused on using the topography or slopes of the site as a tool to define the morphology of the building. This building beat off competition from hundreds of buildings around the globe to win the ‘World Building of the Year 2011’ award at the prestigious World Architecture Festival Awards in Barcelona. The building was selected from 16 finalists to win the highest accolade in global architecture by a ‘super-jury’ of the world’s most influential architectural and urban designers, led by the distinguished Michael Sorkin. It is the first win for the host city. The position of Diagonal ZeroZero Tower is exceptional: it is located at the origin of Diagonal, Barcelona’s main avenue; it is very visible from the city and from the coast; and it lays on the border between the consolidated city and the large expanses of public space in the Forum area. Its immediate surroundings consist of isolated buildings in a diverse context of different scales and uses that generate at the same time a metropolitan center and a local neighborhood still in formation.